It was only a couple months ago when we saw Bose products unceremoniously swiped off the shelves of Apple stores. The issue was likely due to Bose suing Beats over a number of patent infringements, but that suit has since settled, so perhaps now everyone can play nice again. Absent of any official reason why Apple removed the product line in the first place, we can say that it is official that the Bose line is coming back, and likely in time for the holidays. According to images of a retail display plan, and product listing, several Bose items will be sitting side-by-side with Beats counterparts, including the SoundLink III Bluetooth speaker, and SoundLink Mini Bluetooth speaker. Those items would compete with (outshine really) the Beats Pill XL and Beat Pill respectively. Apple used to carry most, if not all, of Bose’s consumer audio products. It is not known if things will go back to the way they were or not. There may still be some tension since the NFL has an exclusive agreement with Bose, and a lot of players were known to be fans of Beats gear. 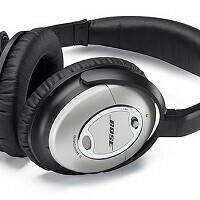 However, the “No-Fun-League” has fined players who appeared on camera listening to tunes on products other than Bose. This is a shame. Nobody knows how good Bose is. Bose has been in the sound game forever and Beats although a new comer and not as good is still quit good. Over priced, mmm maybe. But overhyped or well marketed. I have heard solutions from alot of companies. These are still on top. Sure if you want quality sound. go buy your self a real system. but don't expect so much from a mobile bluetooh or mobile wired solution. Sound has vastly improved over the years but c'mon Bose being overhyped and over price pluse overrated. No Bose is not mentioned as overrated in this post yet, and I believe is not, overpriced? Sure, but anything better than Bose is normally pricier at least not on headphones.